We at IRN Post wish you all a very Merry Christmas and a wonderful New Year. This is a rather special post since I went looking online for the presents for myself actually. It is so true that if you’d buy something that you’d love to have, makes an equally thoughtful gift. 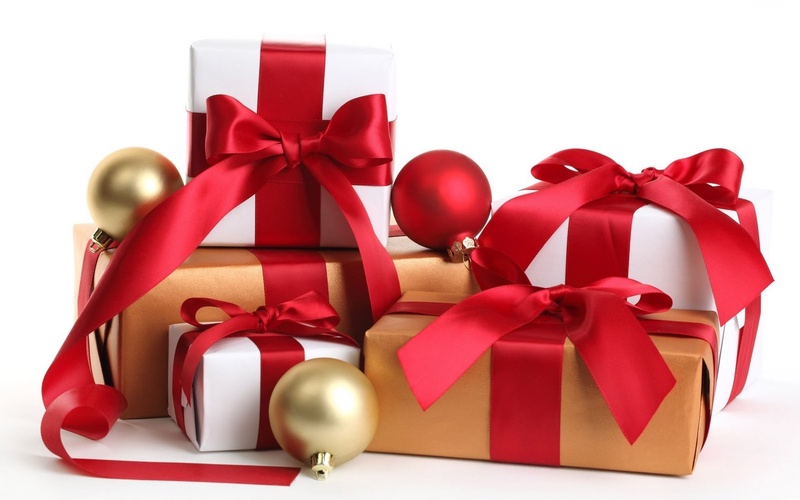 And since this is the season of sharing love and giving presents, let’s take a look at some very nice and not so expensive items that we can give as gifts this Christmas. I am being very specific and intentional with these gift ideas since all of them are $100 or less so most people can afford these for themselves or their loved ones. These are simply my own picks so don’t be mad if something you want doesn’t end up here. Let’s do this then shall we. This is an icon right here. If you are a creative person who happens to do your work on a PC then you know what this Mouse is. It is a workhorse’s best mate. The original version was such a great hit that I couldn’t find a single bad review of it online and this second generation is even better. 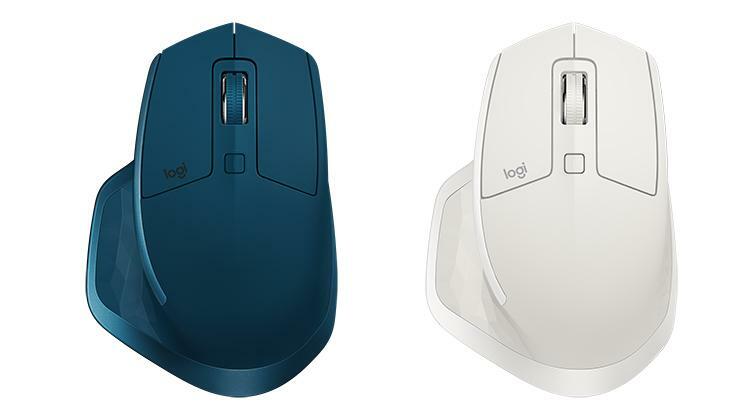 Chances are that if you are a busy bee then you already own this mouse and if not then this is your best chance since Amazon has slashed the price for this epic computer accessory to $70. Even if you own one, there is no harm getting a spare just in case or give it to someone who can use a good clicker-pointer thingy for their computer. This is one amazing little tablet. It happens to be the only affordable tablet that even the seasoned professionals like. Talk about economical with a retail tag of $80 and Amazon even dropped it to $60 now and this is the new 2018 model. If you are a basic user or need a tablet so your kid would leave you expensive phone alone then this is a must have. Launched in September with the specs of 8.00-inch touchscreen display with a resolution of 1280 x 800 pixels at 189 pixels per inch. 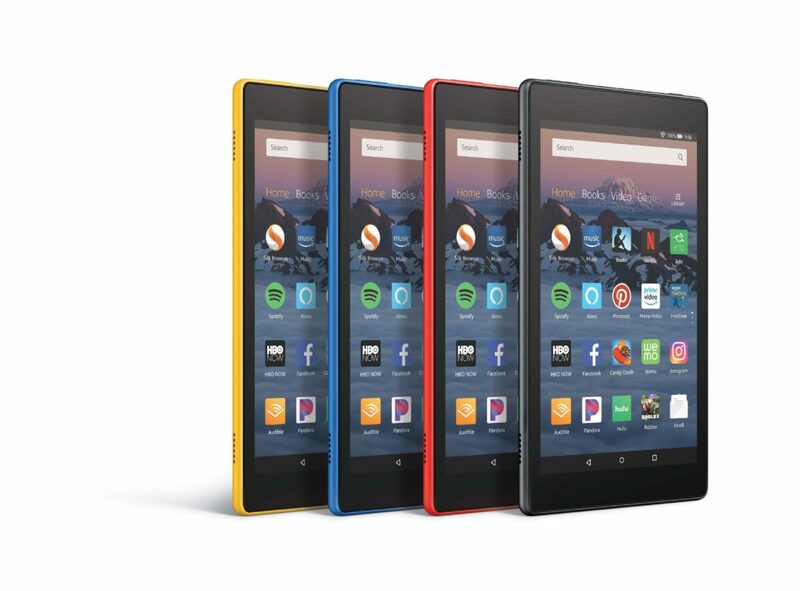 The Amazon Fire HD 8 (2018) is powered by 1.3GHz quad-core processor and it comes with 1.5GB of RAM. Books, Netflix, YouTube, Web Surfing, Spotify and so much more with a price that is simply insane. Go get yours. No doubt that Google Assistant is the undisputed king of virtual assistants, I know Siri tried and people are promoted the heck out of Alexa but we all know that Google has claimed the throne. Google Home is a smart speaker that runs on the assistant so whatever you want your phone to do, you simply ask the assistant it’ll get it done. 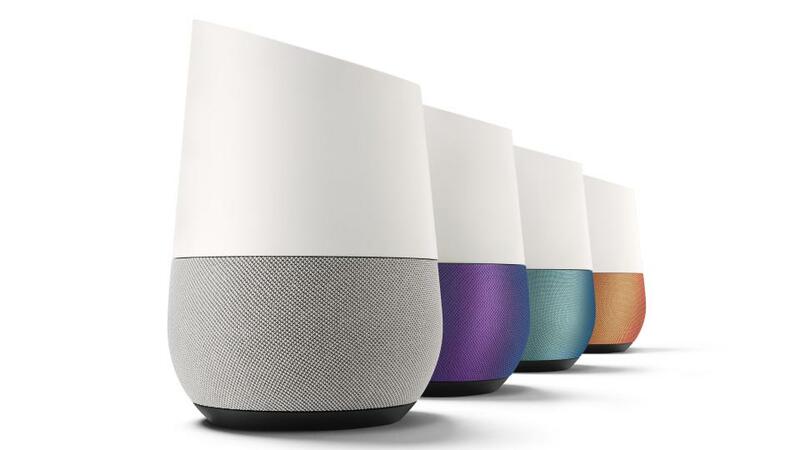 Whether it be syncing multiple devices across your house or simply use one near your couch or bed to listen to music or ask it random fun facts, Google Home has a brain that has all that Google knows and continue to get. It happens to be an awesome speaker as well, so if you want any of the mentioned things in a product then get on Best Buy and get the smart speaker for $89.99. In the world of Smart TVs that pretty much have every single streaming service and whatnot, Roku still holds it’s place with it’s head held high. Not everyone owns a smart TV and not everyone can afford it right away but Roku is more diverse than simply a monotonous device. This small stick is magical and can keep your TV and streaming needs intact. Carry it in your pocket and when you travel to other places, simply plug it in the TV near you and you are good to go. 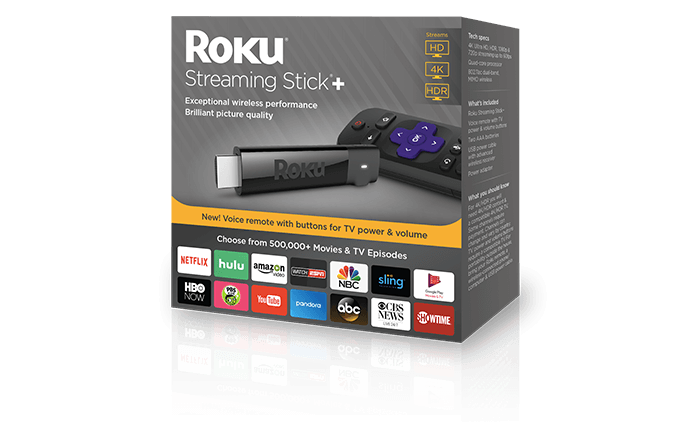 Google Chromecast is cheap and does a lot of things right but Roku still holds upper position in this category and with the holidays and all, Amazon has decided to sell a $70 device for $49. Comes with a remote that has voice control and best part is that it runs in full 4K and HDR compatible. It was for the 80s and 90s kids who can have a blast plugging this wonderful revision of an absolute classic to their TVs and relive their childhood. 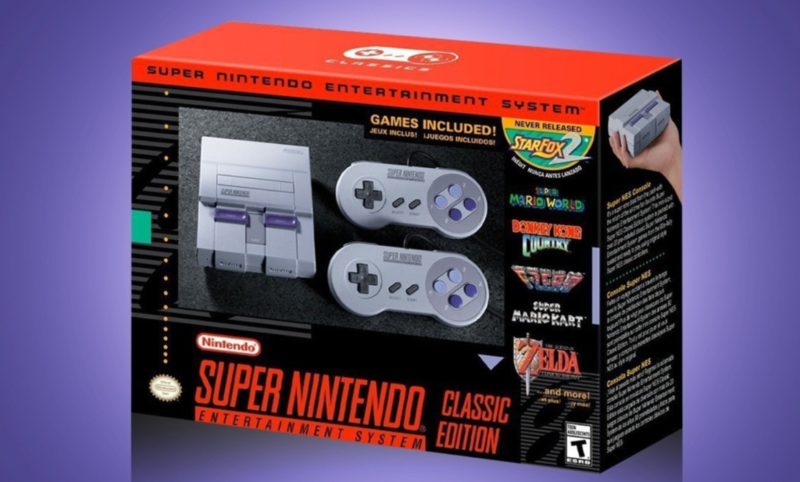 I can see myself plugging it in on Christmas morning with my brother and my nephew and just play the heck out some Super Mario Kart or the Street Fighter II. Retro is the word your kids would be saying while you’d by using the word ‘Rad’. 21 games are not much by any means but they are free and they are a good line-up. The console comes with HDMI and hooks up to whatever that has an HDMI. The console can be found at Walmart for $80 which is a great price for a console with two controllers. The moment you lay your eyes on this adorable little machine with one heck of a trick up it’s sleeve, you’d fall in love. Polaroid in the most adorable package. 5 wonderful colors to choose from and a good build quality on top of that makes this a wonderful gift for a young artist. With auto brightness and a flash to accompany this little machine are wonderful features. Take instant pictures with your family and print them out right away to mark the memories. Get Fujifilm Instax Mini 9 for $54.95 at Amazon. If you are super busy and mostly shop online then the subscription itself is a great gift and with Amazon Prime free two-day shipping, instant access to millions of videos, songs, and books, and free unlimited photo storage in Amazon Drive is just too good to miss for $39. 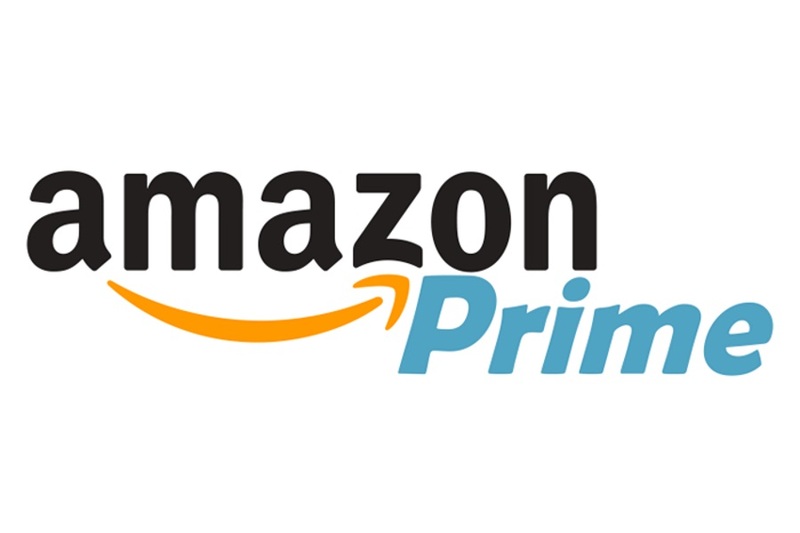 In case you already have the Prime membership and buying this as a gift and they are Prime members as well then the gift will convert into a $99 gift card for them to use on anything. We all have loved ones who simply can’t find their keys or their glasses or something and that turns into a drill for the entire family finding these items. Tile Pro brings something extra useful to our belongings. Tile Pro connects with your phone via Bluetooth and the moment you can’t find your keys, simply press the Tile via the app and I know you are gonna say, “what if i lose my phone genius” which happens a lot too and I will say then press the Tile attached to your keys and the phone will ring for ya. Oh and if you lost both your phone and keys then you need a genie. A pack of two with batteries for $59 makes it a very thoughtful gift. Spending time with family can be stressful sometimes for sure and if not then there are times when you simply want to sit quietly and meditate or reflect. This particular item helps you do that in a most unique and wonderful way. A home decor item shaped like a circle that rotates and delicately drifts sand from top to bottom in a amazing patterns. It mimics the soothing motion and colors of the beach. Any art lover would be more than happy to receive this gift for it is very unique and cost $85 at ‘uncommongoods’. Music is food for the soul and we all need it. These days the music is not what it used to be and not that music before was better than music today, because it is very debatable, but instead I am pointing out one’s collection of music. People used to come over and could see neatly stacked books, VHS Tapes, Posters and Vinyl collection at one’s place. Now, the walls are empty since everything is inside a tiny box in your pocket called a smartphone. Crosley Cruiser Deluxe Vintage Suitcase Turntable is a great retro gift for someone who is into old school tech. 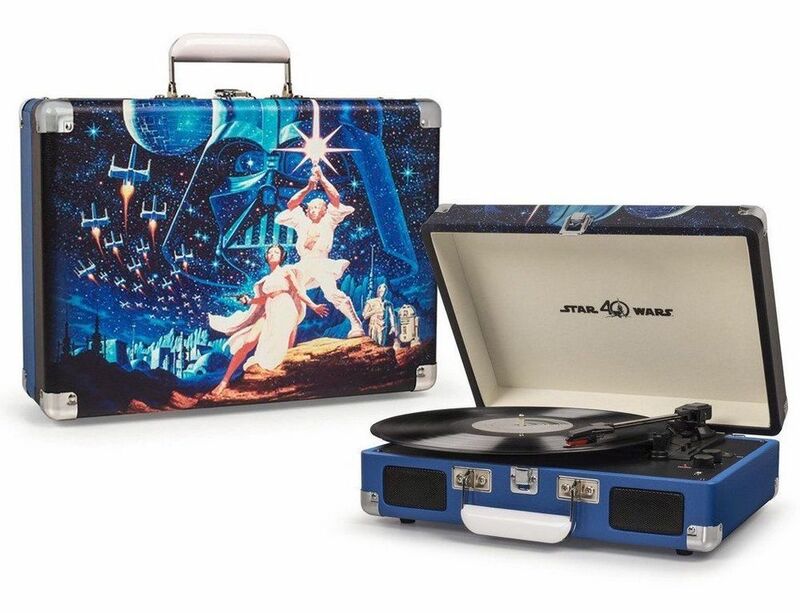 This neat turntable plays all 3 speeds of Vinyls and on top of that, with a flip of a switch you can connect it to your phone via Bluetooth. Built-in Speakers fires to front while there is an I/O at the back to hook this up to bigger speakers too. For $63 and multiple colors to choose from, you can give someone a beautiful gift. Last but not least, I would urge all parents or older siblings to not to buy physical games for your loved ones. Just trust me on that plus save yourself a lot of trouble in the process. If you are not buying them a console then buy them eShop Cards. These cards will allow gamers to purchase whatever they want from the digital store whether it be Xbox, PS4, Nintendo Switch or Steam for PC. There are thousands of games on these services and unlike physical copies, they don’t run out of stock. iTunes gift cards hold equal value for those who would like to buy something besides games like books, music or apps for their devices. So do yourself a huge favor and gift eCards and you will thank me later. 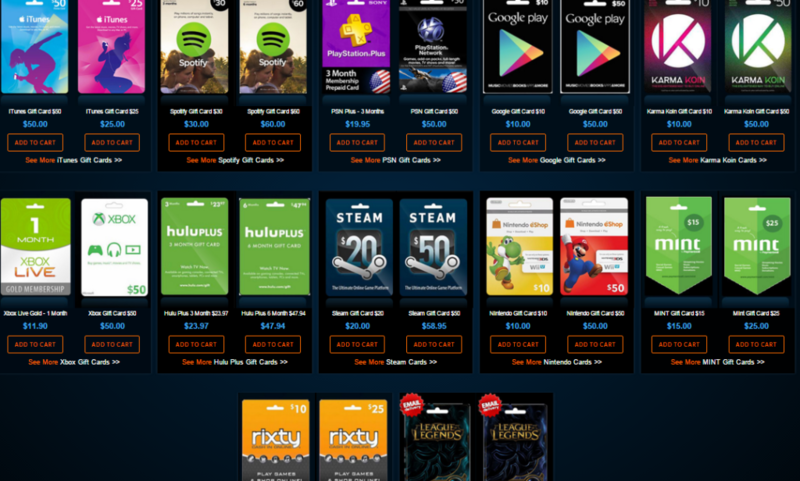 There are cards available for Google, Hulu Plus, Spotify and many other services as well.